Herzl has changed our lives. It has become our second home. It is a place of unity, friendship, love, kindness, and more. It is where kids from all different backgrounds join together as a family. We have our stories from Herzl, and now you’ll start yours, too. I’m Molly and I’ve been going to Herzl since Habonim, so this will be my third year as a camper. I have loved every second I’ve been there. There is an overarching idea of togetherness at Herzl, and you will be a part of it. I probably shared some of your worries for your first summer at camp, too, my first summer. The biggest reason I waited five years after my brother and my friends to go to Herzl was because I never really enjoyed sleepovers. I would get homesick very easily and thought that this would translate to not liking camp. I also had other worries: that I might not feel included, that I was maybe too late for that connection. I worried that I might not enjoy it as much as everyone said I would. But I was wrong. From the moment I stepped off the bus, I felt a sense of family, and I was a part of that. I don’t know how to explain the difference I felt from the anxiety and homesickness I felt at sleepovers. But there is one, and now I can name it. I felt at home at camp, and and when I felt anxious, my counselors and friends really helped. I did not struggle as much as I thought I would. I enjoyed that entire three weeks! And so I kept going back. You might worry that you’ll miss your parents. Maybe you feel that you don’t know anyone going to camp. But I’ll tell you, the staff and ozrim and your fellow campers will feel like your family. Even if you don’t know one person going, trust me, you will feel included. One big memory from my first summer was about a week into Habonim when we went on a Teva. This is where you and all your friends go camping. Later that night, we found that we could not sleep out in the woods. Now, camping is not my favorite activity, so I was kind of pleased, and I said to my friend, “Yes! This means we get to go back home.” And I did not mean “home” home, I meant our cabin. Camp felt like my second home, and that was the first time I realized it. I think Herzl will soon be your second home, too. I’m Griffin and I’ve been going to Herzl since Taste, and have loved it ever since. I look forward to it every year. I think of camp as my home away from home because I never want to leave. I have met friends from nearby and from across the country who feel like brothers to me. We trust each other and we’ve got each other’s backs. The things we get to do together are so much fun. Some of my favorite things at camp are lights out programs–which are fun activities right before bed, cinnamon rolls on Saturday mornings, jersey nights on Saturday nights, singing and dancing at meals, hanging with all of my friends, and song session–which is when the whole camp gets together on Shabbat to sing songs. In Taste, every camper will get a little ‘taste’ of Herzl Camp so you will get to try every activity at camp. From Ultimate Frisbee to mini-Bikkurim, the staff make sure you are having fun every second. However, every year I still go to camp a little nervous about who will be in my cabin and wonder whether I will have trouble falling asleep. But, from experience I can tell you that there is nothing to be worried about. No matter who is in it, my cabin is always perfect, because at camp, I feel a connection to everyone. And I always fall asleep. I’ve been too busy having fun all day not to be tired! Coming to Taste, you will get to spend a whole week doing everything together with the other Tasters. All of these shared experiences will help you make new friends and deepen connections with your current friends. All of this fun is what makes Herzl special and so amazing. 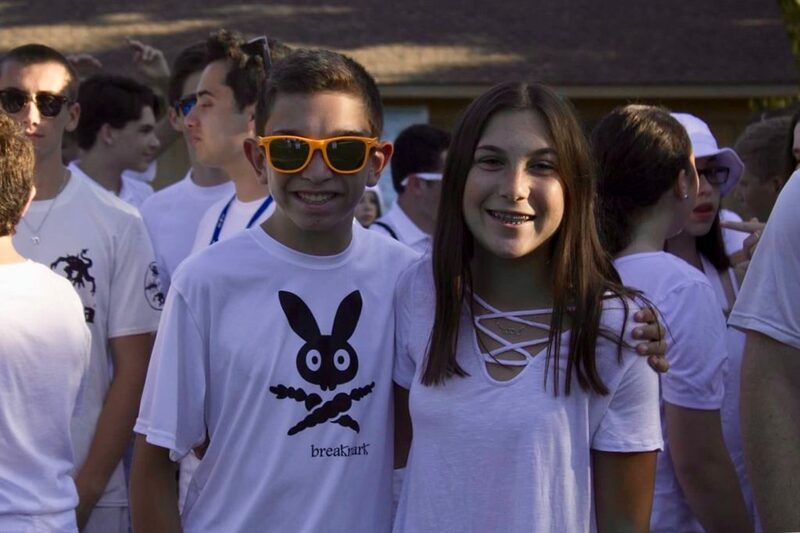 At Herzl, it is almost impossible to not fall in love with camp. I’m so excited for you to come to camp and make your own connections and memories. In our eyes, Herzl is the greatest. It is a place where friends become family, a place where happiness is in the air, and, we hope, a place that you will love as much as we do. Herzl has changed our lives, and it will change yours, too.